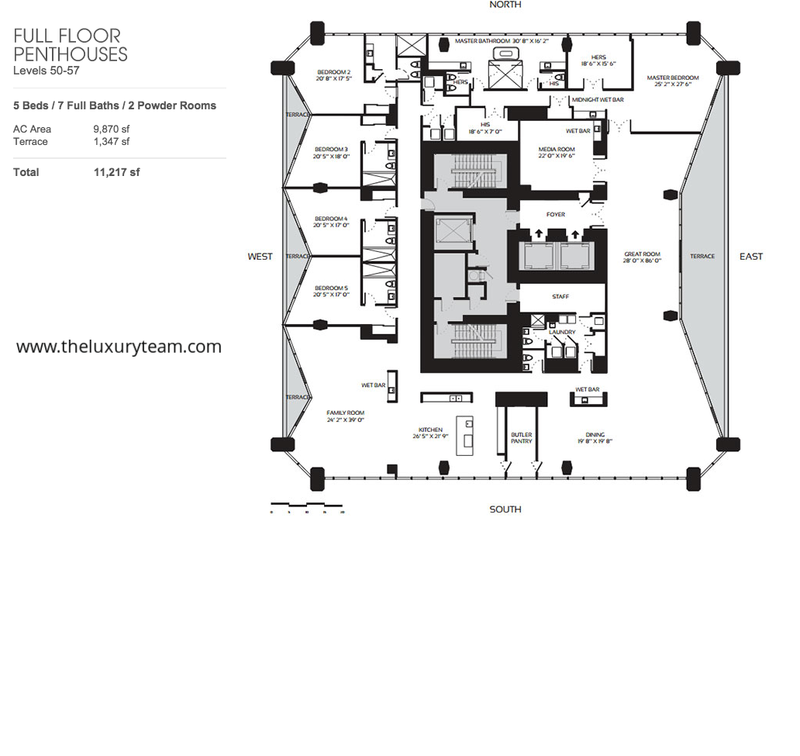 One Thousand Museum is a gorgeous set of residences available downtown Miami at 1000 Biscayne Boulevard. The architect, Zaha Hadid, has really outdone himself with the unique and exquisite exoskeleton of the tower, making it a stand out on the city skyline. This is the only residential tower in Miami to feature a rooftop helicopter pad for your convenience. 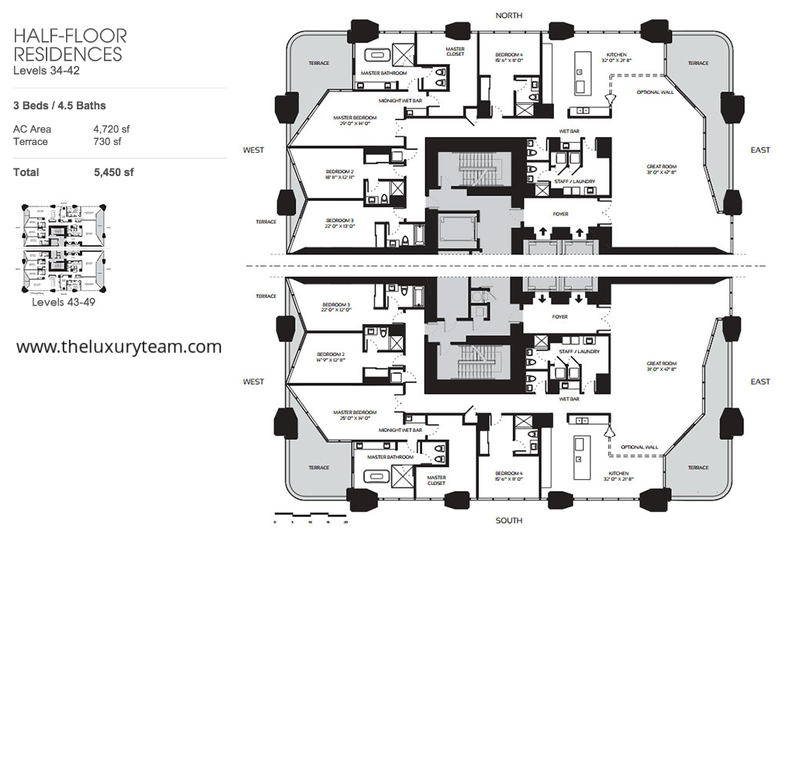 The beautiful tower boasts 62 floors, and 83 luxurious units are available. 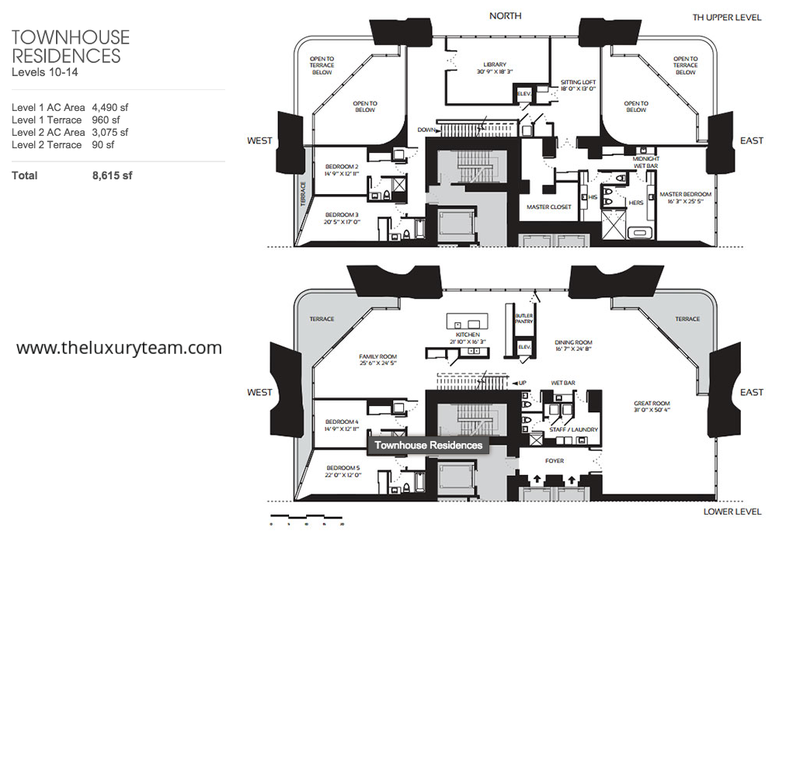 They range in size from 4,500 to 9,800 square feet and come available in 3, 4, and 5 bedrooms. 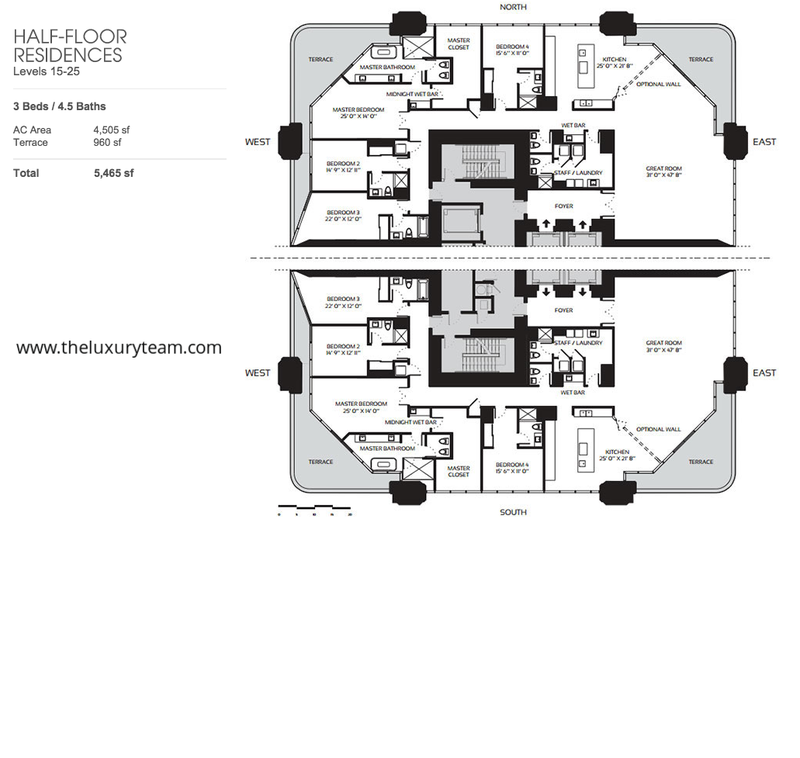 The units all come equipped with multiple oversized balconies, and has floor to ceiling window walls. These provide uninhibited gorgeous view of the Atlantic. The design was created with ease of living in mind, and each unit has ceilings of at least 10 feet high, while some have ceilings up to 20 feet in height for a more spacious and relaxing feel. The spacious and minimalist inspired kitchens are beautifully custom designed by Gatto Cucine and include beautifultone countertops. The residences also come equipped with gorgeous and modern SubZero and Gaggenau appliances. The stunningly designed tower features a helipad on the roof, and right underneath (on the 62nd floor) is the amazing double height Aquatic Center. It features an infinity edged indoor pool with a terrace for sunbathing overlooking the Atlantic Ocean for breathtaking views while you swim your laps or relax in the sun. The property also boasts a Swim and Sun terrace with organically shaped pools, outside at the base of the tower. The fitness center takes up an entire level and is equipped with top of the line equipment. One Thousand Museum also takes relaxation very seriously, and devotes an entire level to its spa services including massage, steam room, as well as having a private cinema on the same level. The property provides 24 hour security services, as well secure parking and valet services. Located in downtown, you’ll be surrounded by bustling Miami life and culture. The Perez Art Museum Miami is just a short distance away, and the Patricia and Phillip Frost Museum of Science is even closer. One Thousand Museum is suitably located near multiple gas stations and coffee shops. It’s the perfect family location, being conveniently positioned between no less than 3 elementary schools and secondary schools. 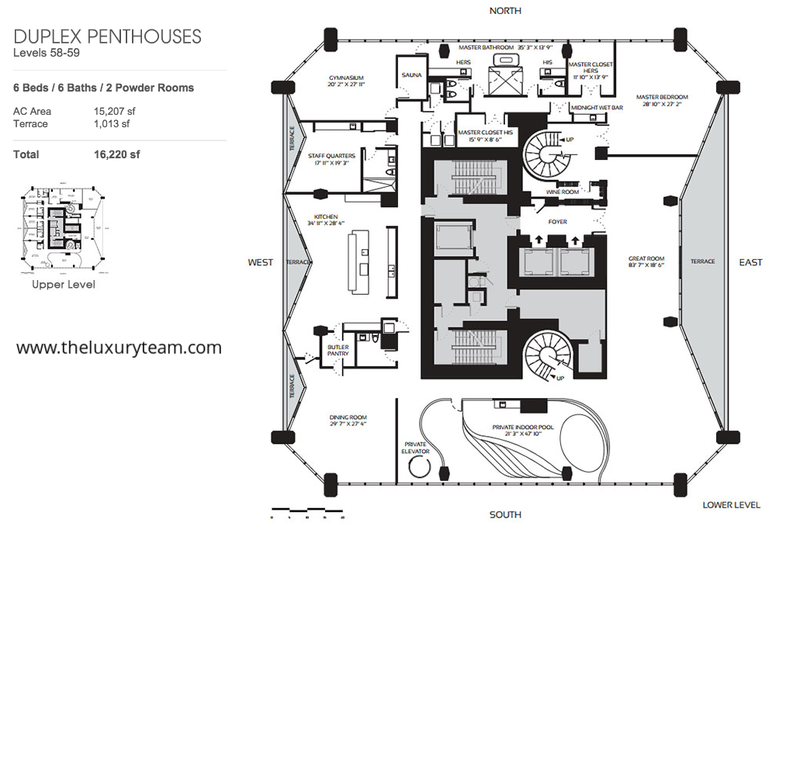 This luxurious and glamorous set of units will surely be filled quickly. This location is highly desirable and only those who express interest now will receive a spot in the gorgeously designed tower. Get more details today!